Welcome to the exciting world of printing! Jalt OÜ (born in 2009) advises clients and provides high quality printing equipment throughout Estonia. We are familiar with the ins and outs of the printing industry from experience that dates back to the year 1996 and we constantly keep updated with new modern changes that take place every day. With an in-depth knowledge of all modern printing equipment and programs, we are able to offer our customers the best cutting-edge solutions. We offer high-quality printing equipment and materials, without which, no proper printing house can cope. The selection includes both offset and digital printing equipment (prepress, press and post press) and a wide range of materials. We also provide software for the equipment. 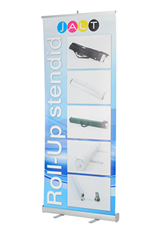 We also provide humidifiers, packing equipment and roll-up stands. Even a professional printer needs help sometimes. Jalt conducts an assessment, installation, maintenance and repair of equipment as well as consultations. If the unit needs to be repaired, there is shortage of skills for operating it or you want to know the market value of the equipment, we can provide professional advice and, if necessary, arrange for additional training. If you want to replace the missing or worn out parts of an offset machine, use the spare parts enquiry form and we will quickly find a suitable part. Jalt offers valuation of devices and consultations for various printing devices.